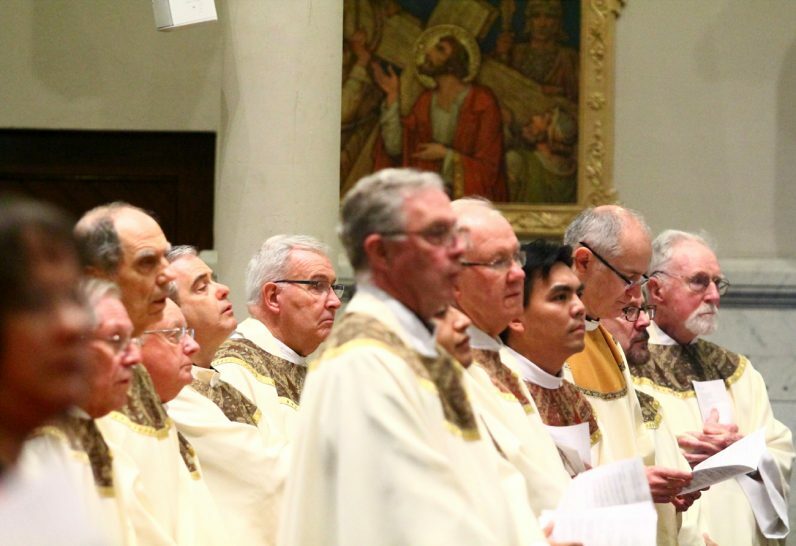 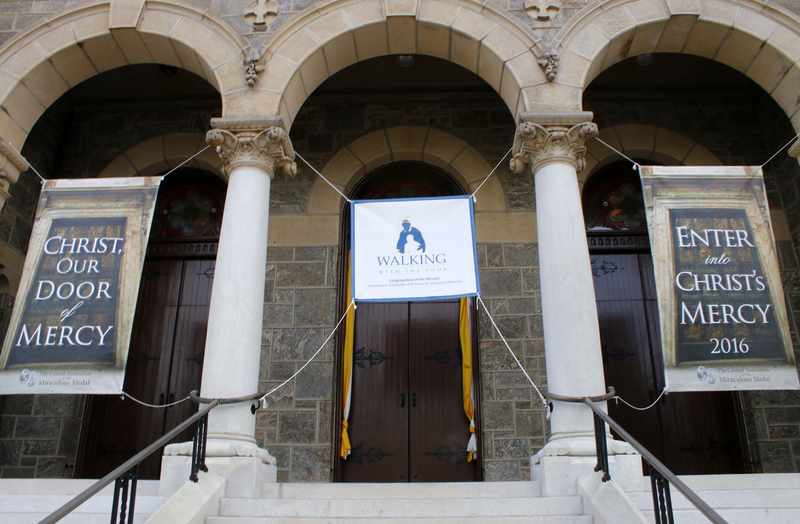 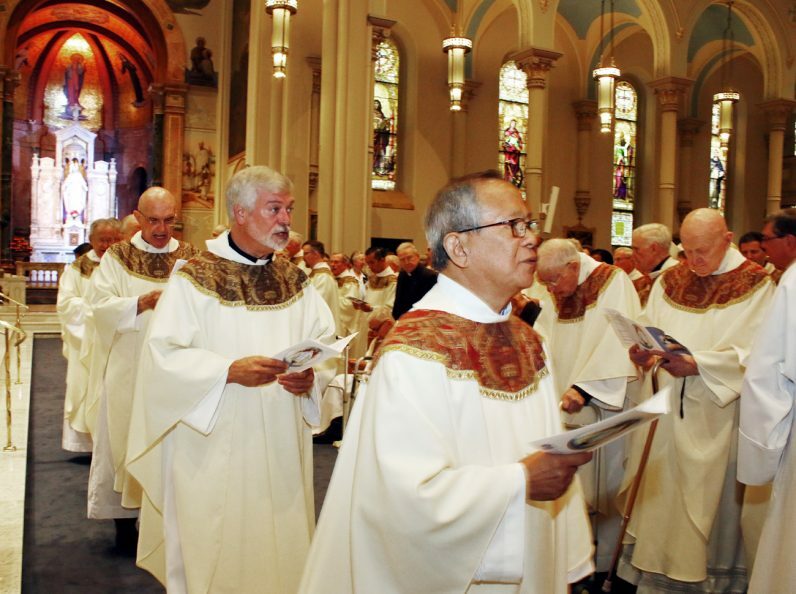 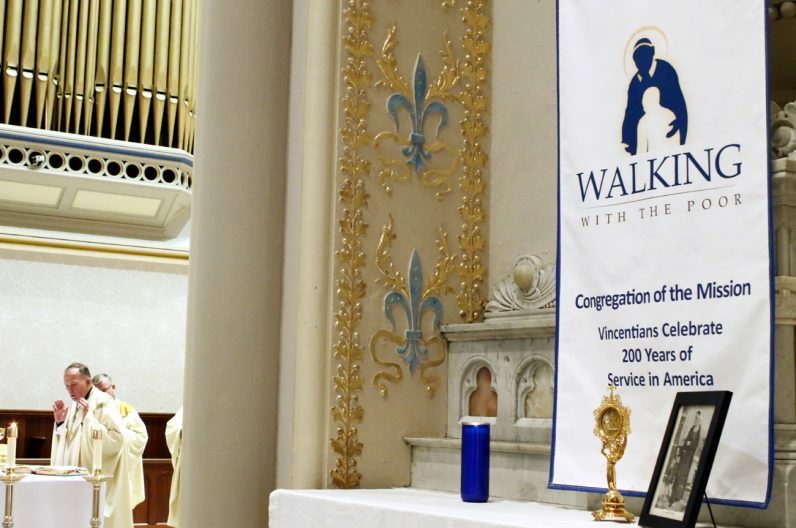 Vincentian priests process into the Miraculous Medal Shrine in Germantown Sept. 24 for a Mass observing their order’s 200 years of service in the United States. 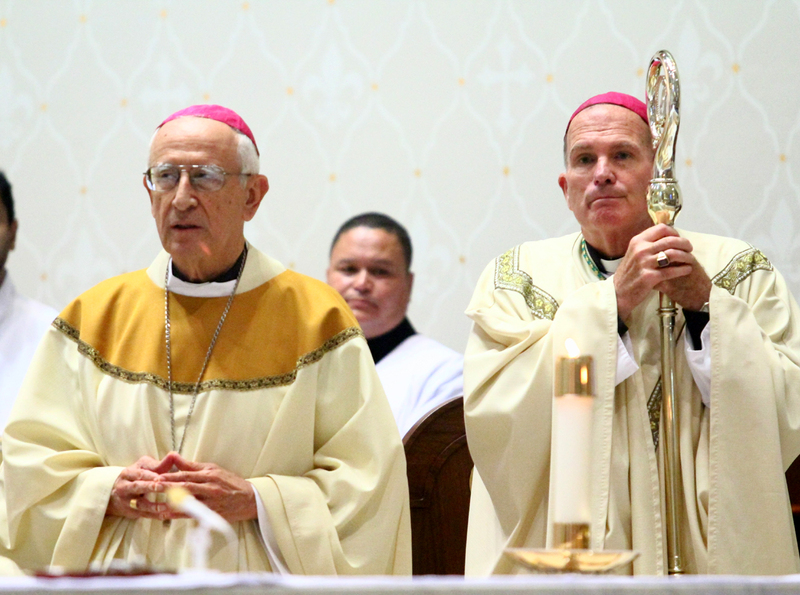 Vincentian Bishops David O’Connell (right) of Trenton and Alfonso Cabezas Aristizabal, in residence in Brooklyn, celebrate their congregation’s anniversary Mass. 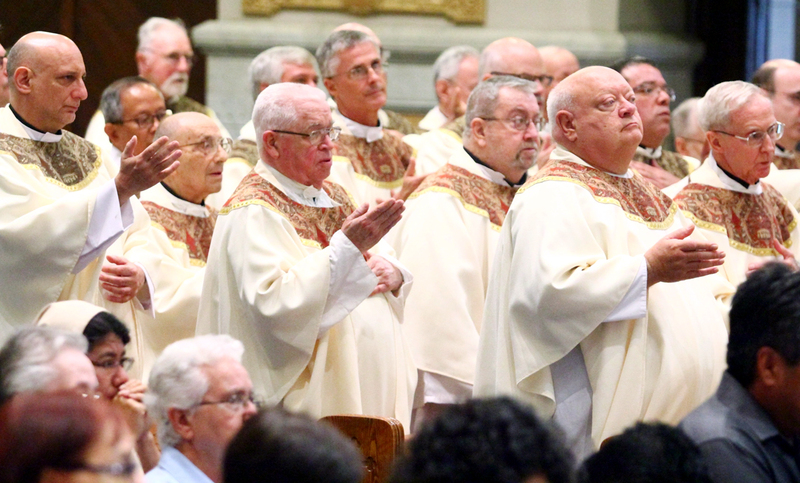 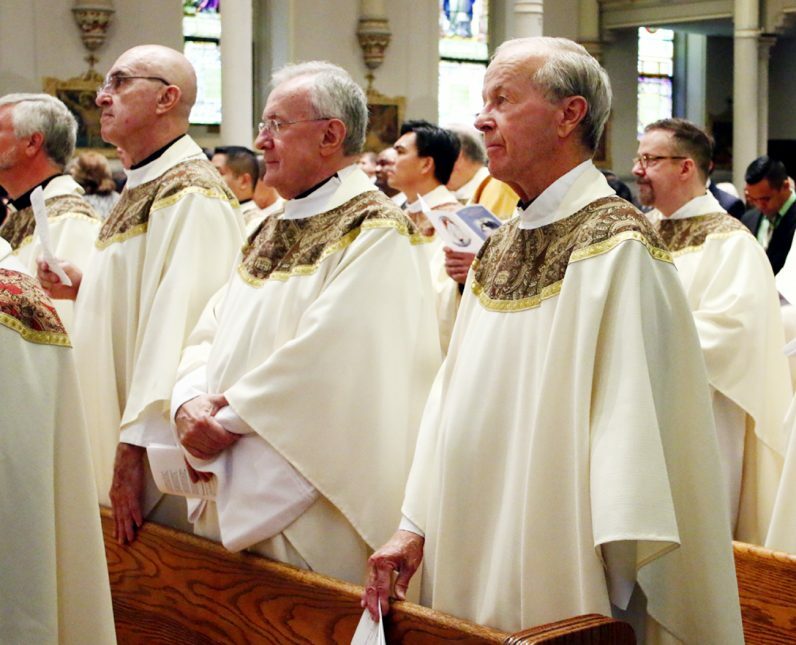 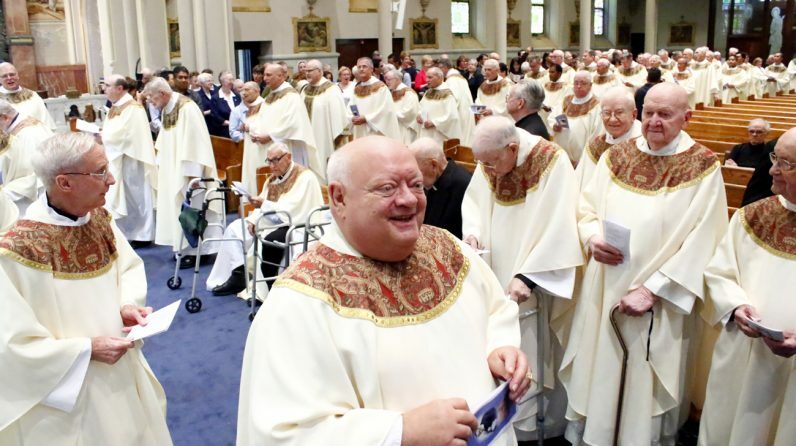 Father Robert Maloney, who was the Vincentian Superior General from 1992 to 2004, celebrates mass with his brother vincentian priests. 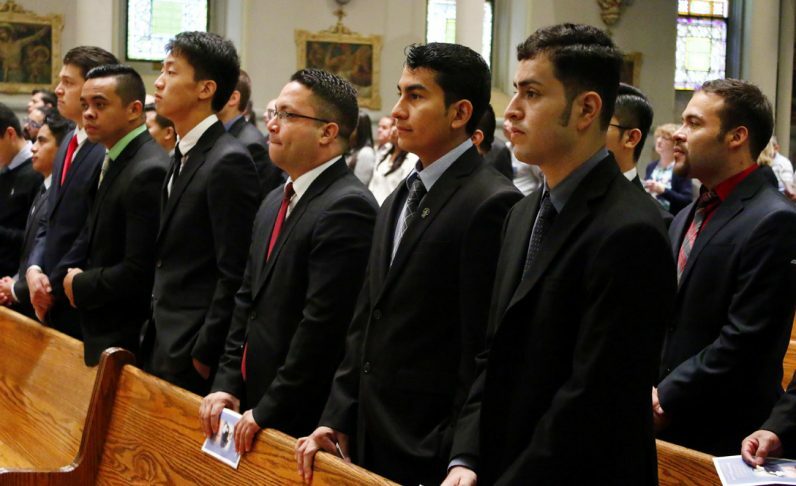 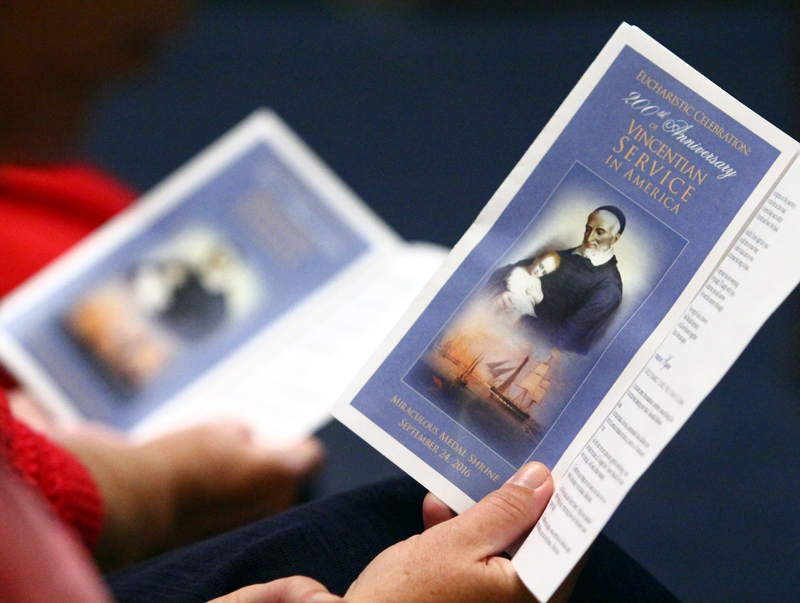 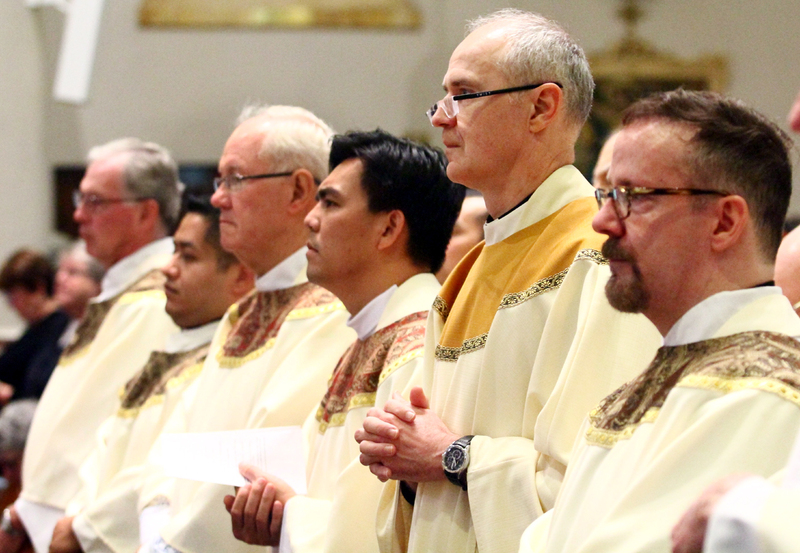 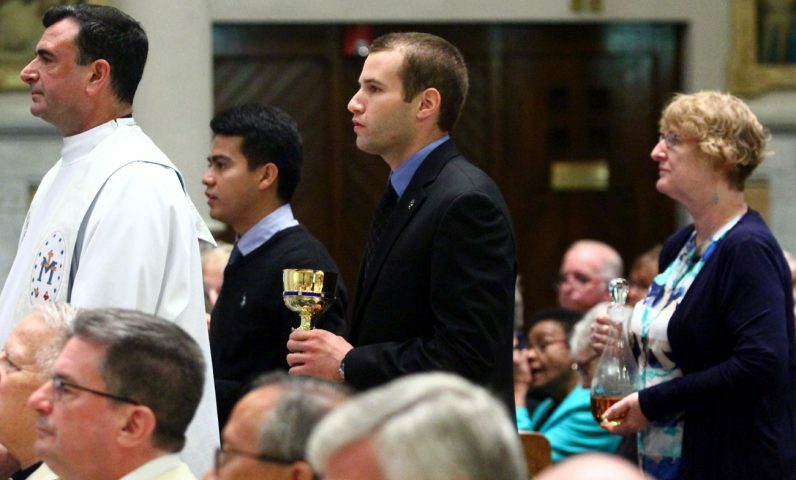 Vincentian seminarians attend the Mass Sept. 24, observing their order’s anniversary in America. 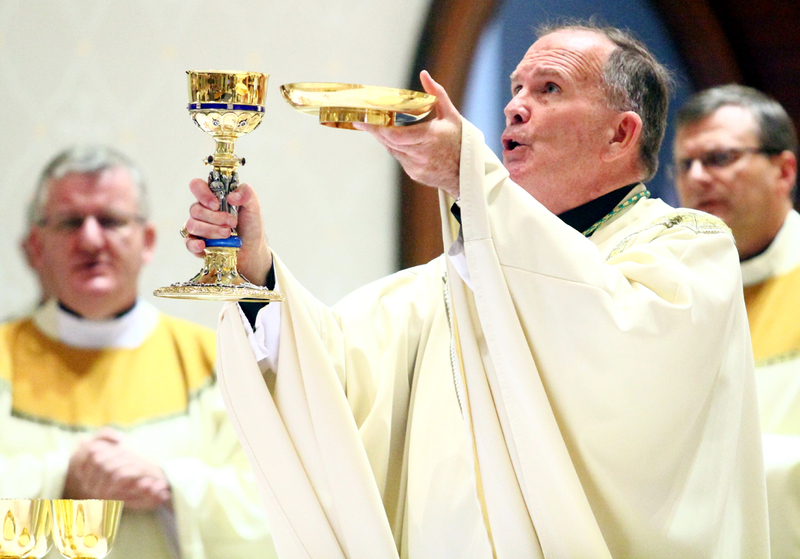 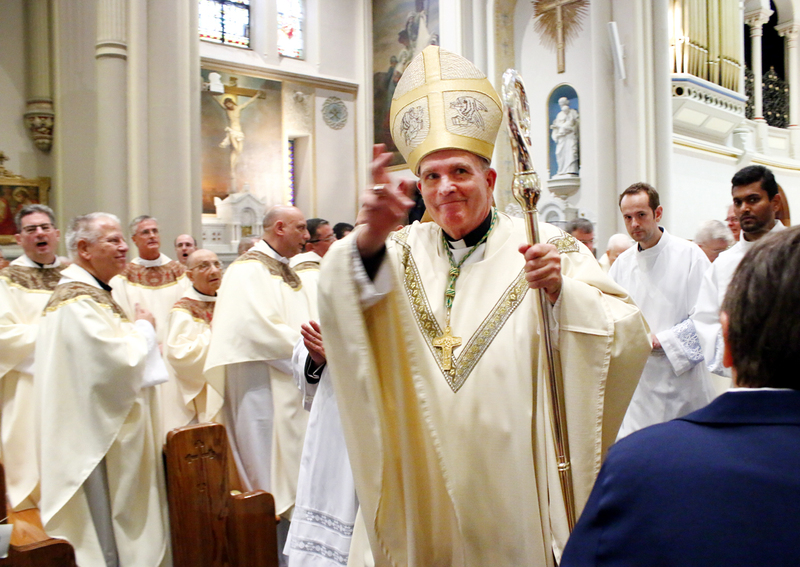 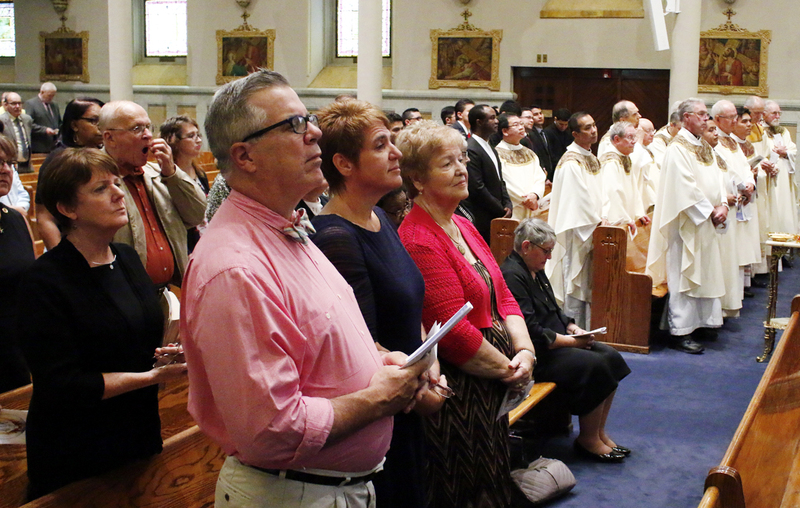 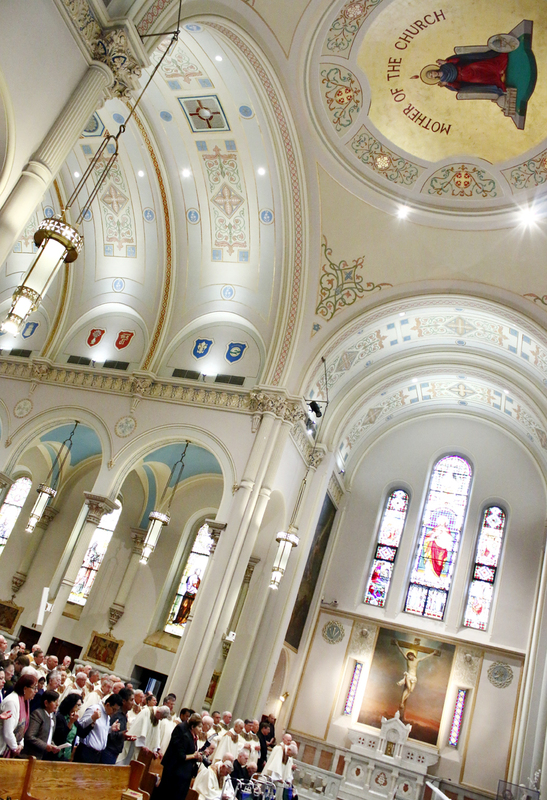 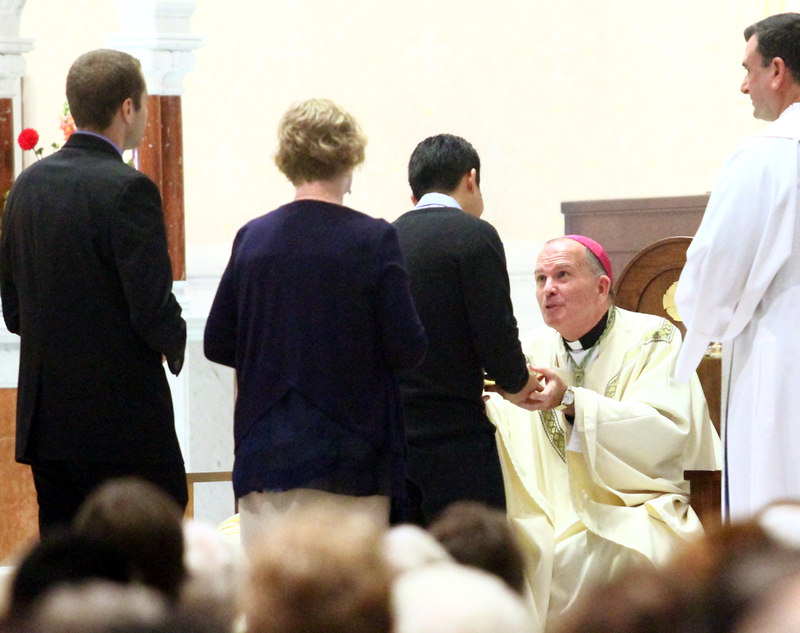 Trenton Bishop David O’Connell, C.M., celebrates the Eucharist at the Sept. 24 Mass at the Miraculous Medal Shrine. 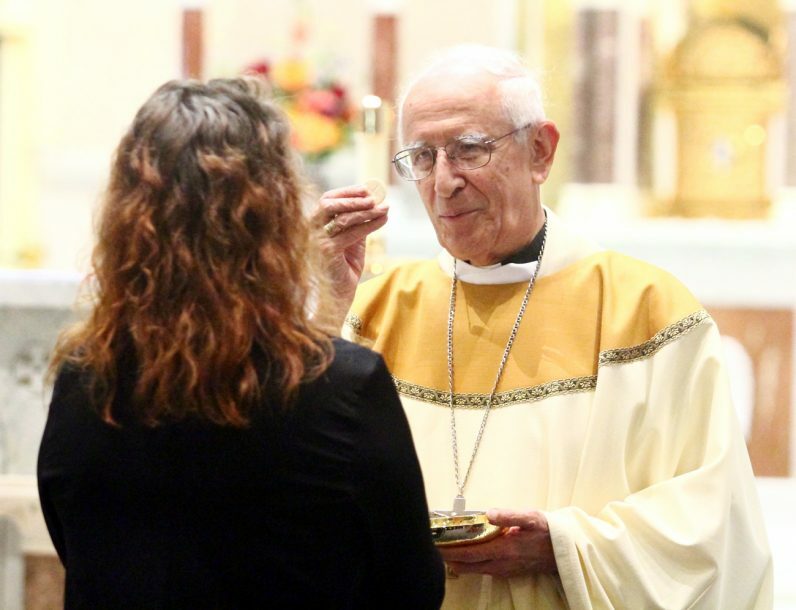 Bishop Cabezas distributes holy Communion.